Fusion has announced a new supplement to start the week that has been given a rather interesting name. 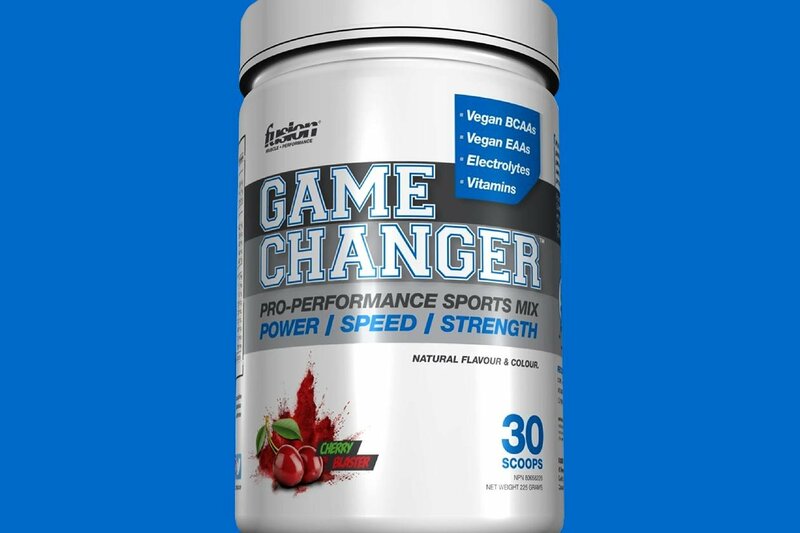 While we do hear a lot of brands referring to their products as game changers, Fusion’s latest supplement creation is actually titled Game Changer. The upcoming Game Changer from Fusion is promoted as a sports performance formula intending to help with power, speed, and strength. Each of its 30 servings weighs in at 7.5g and contains vegan versions of the three BCAAs as well as some EAAs, electrolytes, and vitamins. According to Fusion, Game Changer will be launching up in Canada very soon although it doesn’t sound like it’ll be in all the usual places. The only two locations the brand has said it is going to be available are its own website and the major Canadian sports retailer Sport Chek.